For five of the twenty years Keith and I have been married, we owned a home. The other 15 we lived in rented houses and mobile homes. Now we currently live in a rented apartment. Renting a home always made me unsettled, like a constant visitor in someone else home. However, after reading Myquillin Smith’s The Nesting Place, I discovered that no matter where I lay my head at night, I might call it my own because it’s the place God picked out for me. That one thought changed my whole opinion about decorating. I am NOT talented in the area of design. In fact, if I can’t see it, I can’t do it. My decorating ideas usually fall into one of two categories: Wow-I-can’t-believe-I-did-that and Oops-how-soon-can-I-change-this-horrid-mistake. Once I read The Nesting Place, this décor-challenged girl changed her entire mindset about decorating a home. Myquillin spoke my language – renter’s language, that is. She addressed the fact that renter’s often feel “like the unreached people group of the design world.” That was me! I immediately knew that she understood my plight when she revealed that she was currently living – and decorating – a rented home. More, importantly, pictures of her rented and beautifully decorated home are featured among the pages. I gained confidence that what she had to say could relate to a mere renter. The first thing she teaches about design (and it’s her motto too) is that “it doesn’t have to be perfect to be beautiful.” As one who doesn’t really revel in the details, I loved that idea. I like to craft every so often, but when a project has that “homemade” look, I simply hide it in the closet. However, Myquillin encourages us to embrace the imperfection. 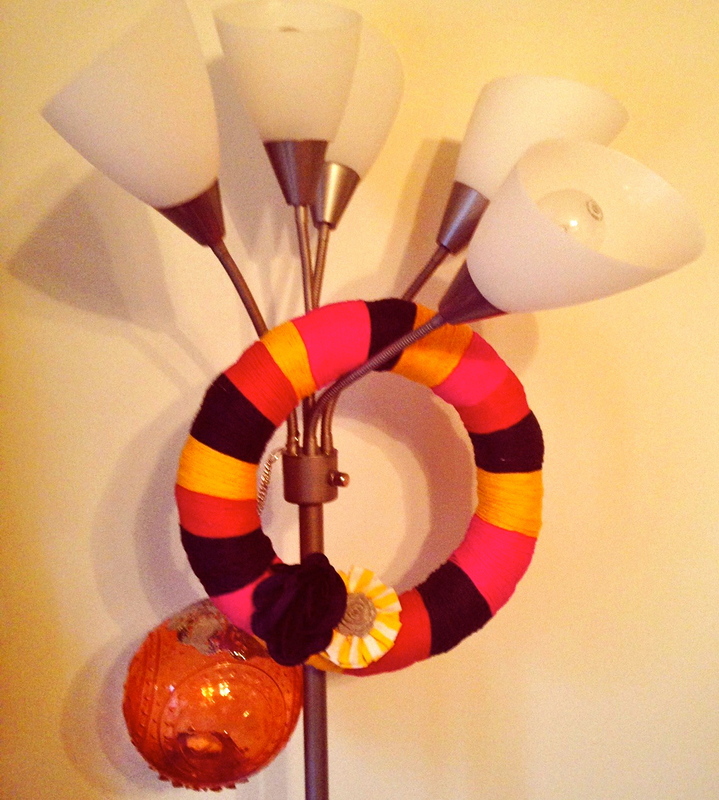 Now instead of hiding the handmade-homemade yarn wreath, I proudly display it. 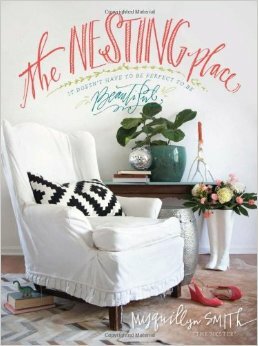 Aside from embracing imperfection, The Nesting Place helped me define the purpose of my home. The books lists questions that allow readers to consider how they want their home to make others feel. I created a list of adjectives that I felt were the heart of what my home was about. I wanted my home to be comforting, cozy, inviting, peaceful, and most of all fun. Then I got intentional about how I could create that feeling. Suddenly, I had ideas (borrowed from Pinterest) that created those feelings. 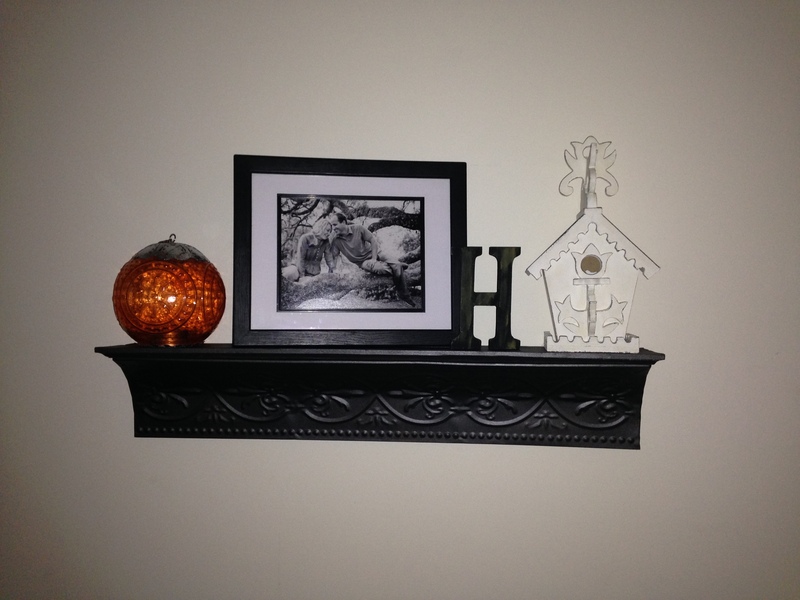 My home décor had a defined purpose, and for the first time, I began to believe that I could decorate it in a way that would be beautiful to me. Lastly, The Nesting Place taught me contentment. I don’t have to have perfectly tailored drapes or fancy artwork. I just need to be happy with what I have. I need to love the mess that daily life creates. I need to embrace the imperfections that produce true beauty. Not perfect but I’m happy with it. 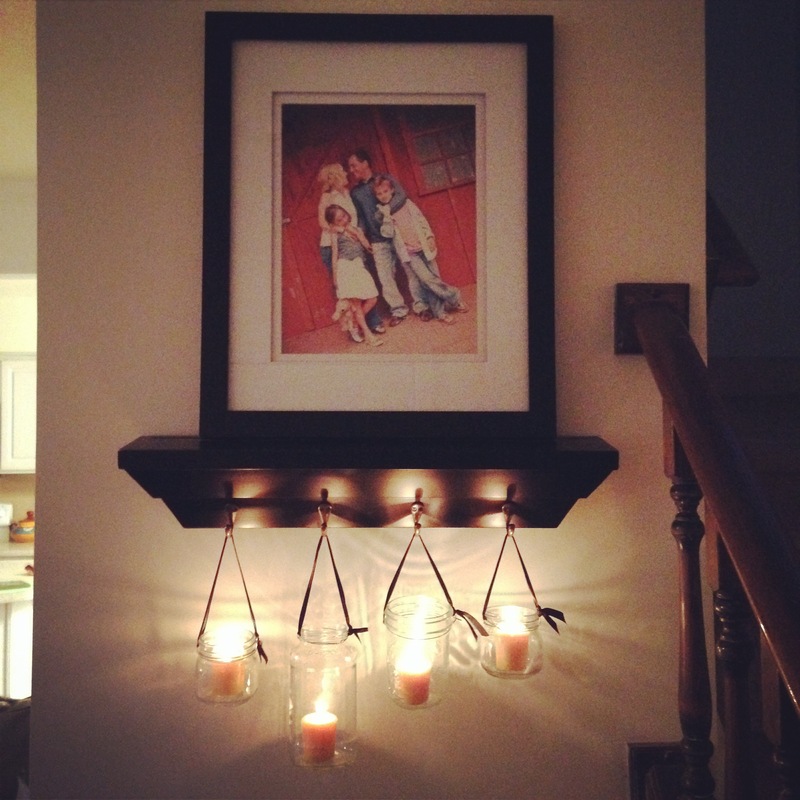 Even if you aren’t design-challenged like me, you will love The Nesting Place. It offers hope for the non-creative and challenges those who design like pros. Home-owners, renters, and those who simply dream of having their own place one day will glean valuable knowledge about what truly makes a house a home. PS: You can also check out Myquillin Smith’s (a.k.a The Nester) blog for more home inspiration at thenester.com. This entry was posted in Book Reviews and Recommendations, Learning, Reading, self-help and tagged Alicia C. Hall, Alicia Hall, book recommendations, books on January 28, 2015 by aliciachall28.